Only one in four trust social media! Only one in four Britons trusts social media and users would like to see tighter regulation, according to the annual Edelman Trust Barometer. 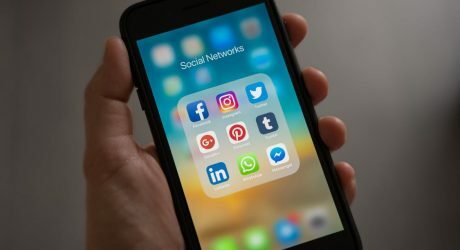 Its survey found two-thirds of Britons believe platforms such as Facebook and Twitter are not doing enough to prevent illegal and unethical behaviour, including cyber-bullying and extremism. But faith in traditional journalism rose sharply in the last year. Edelman said it was time social media companies sat up and listened. “The public want action on key issues related to online protection, and to see their concerns addressed through better regulation. Failure on their part to act risks further erosion of trust and therefore public support.” said Ed Williams, chief executive of Edelman UK, a marketing and public relations firm. More than half of Britons worry about fake news, Edelman said, while 64% said they could not distinguish between proper journalism and fake news. Edelman’s report follows Facebook’s decision to tweak its algorithm to favour more personal content rather than news, promoting posts from family and friends ahead of those from businesses, brands and media less prominent. The survey sampled 3,000 respondents in the UK. A third of them were in the 16-18 age group. Edelman research also looks into which sources respondents consider as “very/extremely credible”. People show a high level of confidence in their peer group, with 54% choosing “a person like yourself” as source. Trust in business and specialist experts is also rising, and journalists saw their biggest gain since the survey began. Although trust in government officials has increased, it is now bottom of the league.